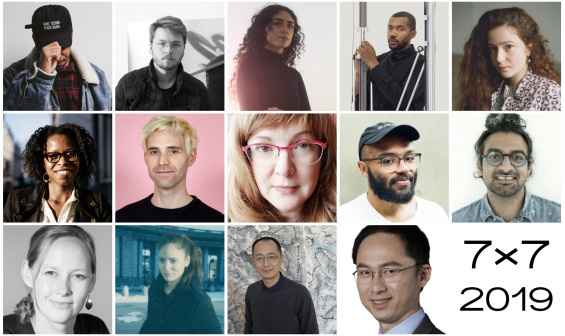 From Left to Right, Top to Bottom: American Artist, Artie Vierkant, Hayal Pozanti, Matthew Angelo Harrison, Sarah Meyohas, Rashida Richardson, James La Marre, Laura Welcher, Trevor McFedries, Tarun Chitra, Kirstin Hagelskjaer Petersen, Rachel Rose, Qiu Zhijie, and He Xiaodong. Seven on Seven brings together leaders in art and technology for a one-day creative collaboration with a simple challenge: “Make something.” On Saturday, April 27, seven collaborative pairs will reveal their projects at the New Museum. Tickets to the conference are on sale today at Eventbrite. Sister City is Seven on Seven’s exclusive hotel and after party partner.